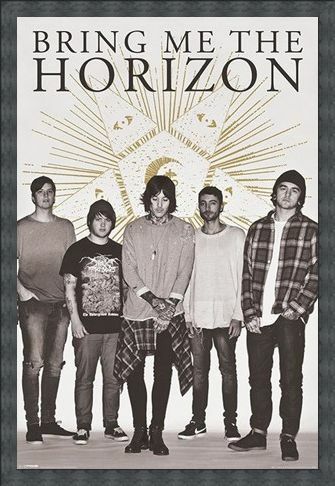 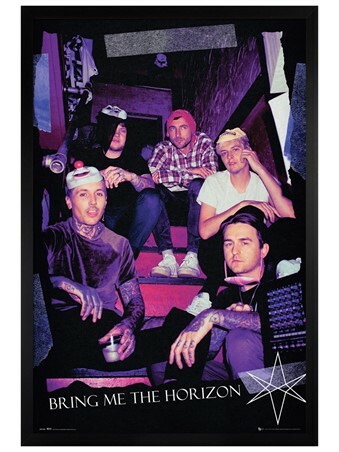 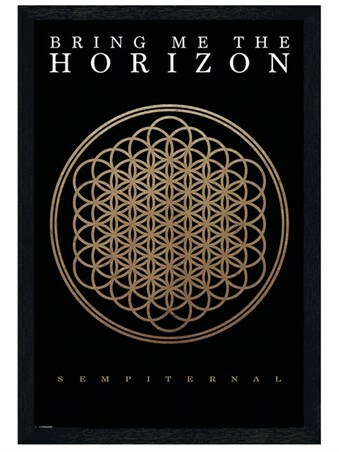 Music Maxi Poster: If you are a fan of Bring Me the Horizon's music then this poster is an awesome addition to your bedroom. 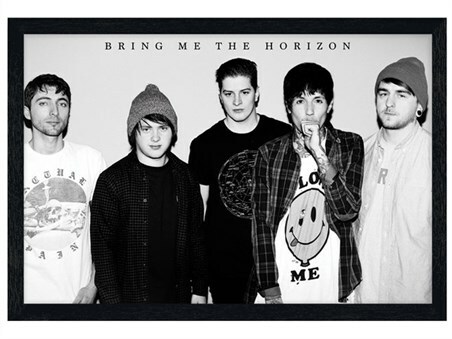 This band first formed in Sheffield in 2004 and since then their music has developed and increased in popularity steadily over the years. 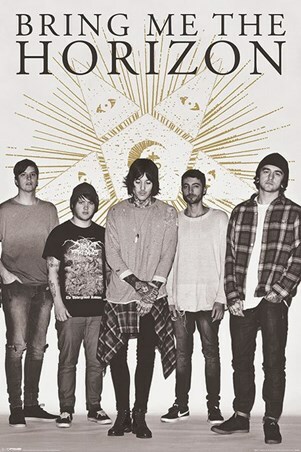 This poster depicts the five band members Oliver Sykes, Lee Malia, Matt Kean, Matt Nicholls and Jordan Fis standing against a golden star. 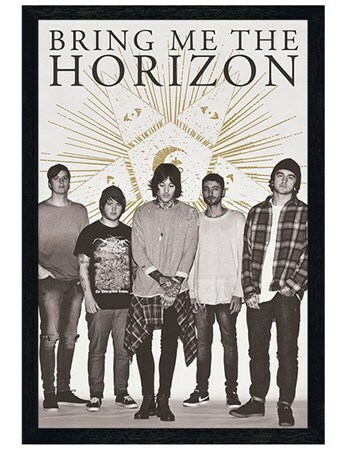 The monochrome effect looks stunning and it is a great way to remember one of your favourite bands. High quality, framed Star, Bring Me The Horizon poster with a bespoke frame by our custom framing service.